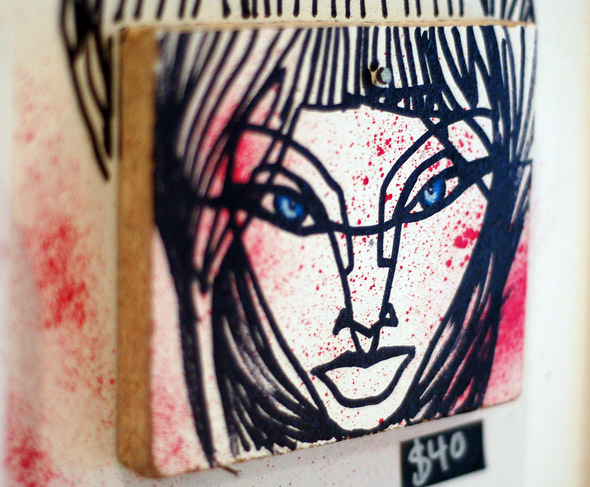 Funktion is not your typical art gallery, if such an animal exists. How so? Well, for me, two qualities in particular set it apart. On the one hand, the gallery's artistic focus is so wide that it calls into question the very appropriateness of the term. And, on the other, it seems obvious that the people behind Funktion have to work just a little bit harder to gain the community credibility that most art galleries enjoy as a matter of course. Perhaps not surprisingly, the reasons for both of the above are interrelated. 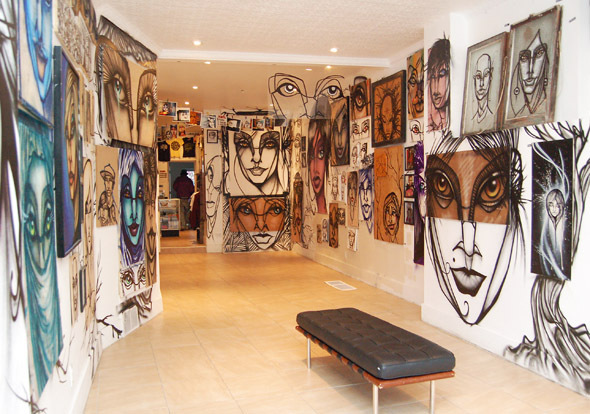 Opened in January (2009) in the now gallery-populated Bloor and Lansdowne neighbourhood, Funktion Gallery is the 'baby' of the artistic collective, The FacelessFew , which began as a graffiti crew during some of the founding members' high school years. Over the years it has morphed into a group more than thirty strong, whose interests include music, various forms of visual art and design, breakdancing, and pretty much anything else that they find interesting and engaging. So that's the first reason covered. I'm sure by now you've grasped the second. 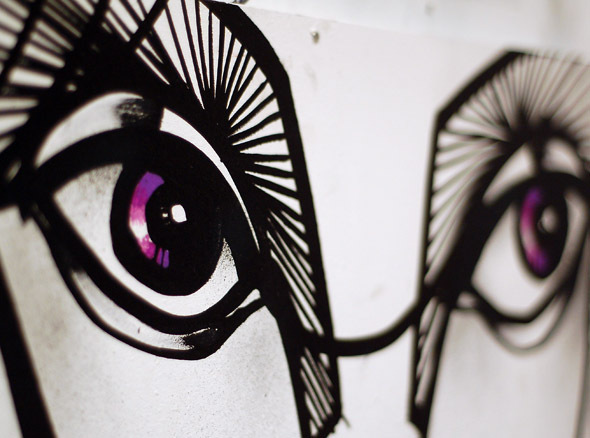 Those roots as graffiti artists, and the fact that many members of the collective still practice street-art, has a tendency to make some suspicious of the collective's motives. But, of course, it shouldn't. And to prove that, the members have taken numerous steps to ingratiate themselves with the community. The most notable of these was last October's ComeUnity festival, headed up by Jose Gabriel and others who now work at the gallery. After the TTC painted over graffiti on their property between Keele and Dundas West stations, the idea was put forward to put together a community event in which murals could restore the presence of street-art in the area, but with official approval. As it happens, the event was a hit, involving all levels of the Bloor-by-the-Park neighbourhood, from families to local businesses, and even Toronto Police Services. Although one might be tempted to think that the community element of the event was merely in service of getting graffiti back up, that's not really the case. The very viability of graffiti as a visible art form depends upon a symbiotic relationship with the city, and by extension, particular communities. Imagine how crushing it must be to have your artwork painted over. To some extent, the only way to avoid that ever-present risk is to convince those who're in a position to eliminate graffiti that it isn't just the pseudo-anarchic action of bored teenagers. Call me an idealist, but I think graffiti - or, to be more specific, good graffiti - enriches cities, and rewards the urbanite who is visually engaged as he or she navigates the streets. I know there are potential pitfalls when it comes to street-art - and even worry that when it is officially authorized that it loses something - but in talking with Jose and another member of the collective, Clem Watson, I got the sense that in their hands Toronto neighbourhoods aren't merely safe, they're likely to become more picturesque as well. But I digress. Back to Funktion. Being a relatively new space, numerous plans are in the works for the future, the most notable of which relate to the outside area at the back of the building. Keep an eye out for the construction of a half-pipe and live-art and sketch competitions to take place here over the warmer months. In the meantime, there's also a lot going on inside. 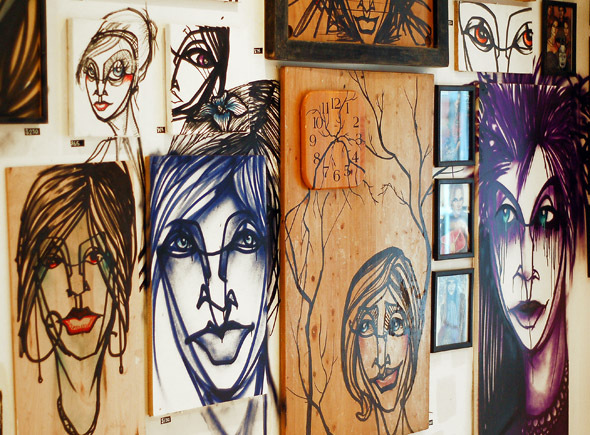 In keeping with their desire to be open to various forms of creativity, the gallery regularly hosts live music, live painting, poetry readings, and of course, art shows. 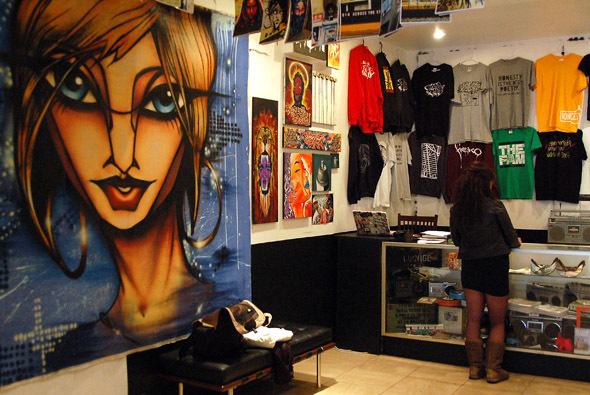 On the more commercial side, Funktion also offers custom clothing designs, along with mural, design and DJ services. 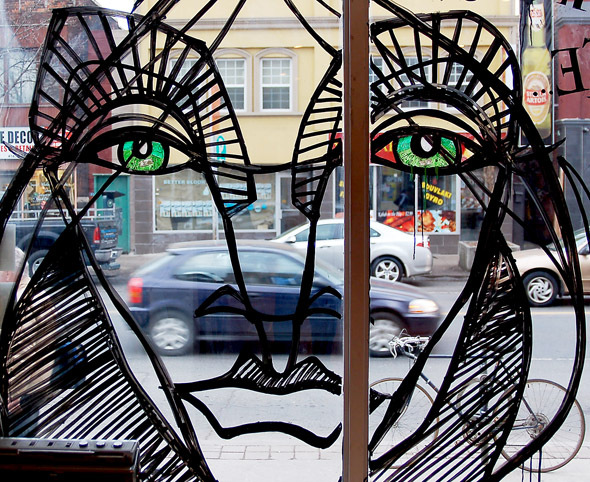 For more information about the artwork of Anser featured in this profile, please visit the gallery's website.